Get the e-profile and psychometric profile of all your tickets received. Know your audience, provide better support and improve your business! Effective customer communication needs intuition and the right tone of voice. If you ask 4 different people to describe a tree, the outcome will be 4 deviating explanations of trees. In every description is hidden the personality and behaviour of that person. Communication Accelerator has done years of research and psychometric profiling to determine the personality hidden in text. 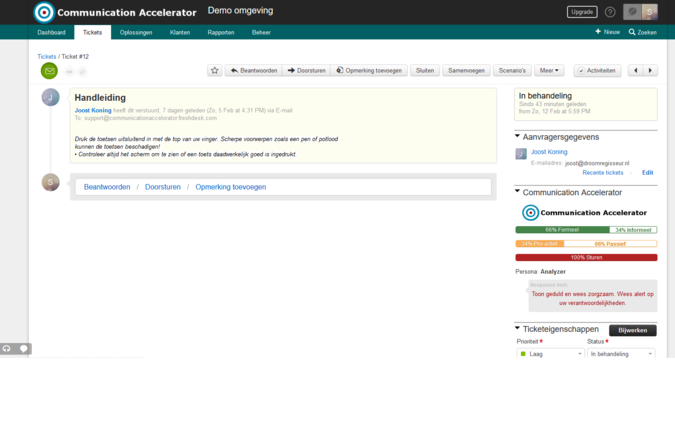 With the "Communication Accelerator" you will get a direct profile of the person behind the ticket. Give your agents the opportunity to react with the best matching tone of voice. (like explained by the Rose of Leary). 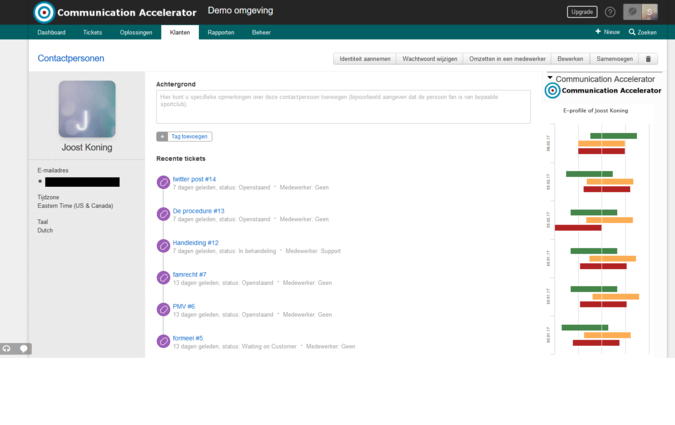 The Communication Accelerator is launched in BETA for the Dutch language, an English version will be available soon. Install the app and set the access-token received. Set the hint response type.